You’ve probably heard a number of superlatives thrown around when talking about the food in the San Gabriel Valley. Guess what? It’s all true. But take it from someone born and raised in the SGV, the options are so endless it can trigger a sort of brain-freeze when deciding where to dine. After all, when we talk about the San Gabriel Valley it’s more than just Alhambra and Monterey Park, and it’s MUCH more than just fine asian cuisine. Even if we exclude gateway cities like Montebello and Whittier, we’ve still got to factor in Pasadena, El Monte, Arcadia, West Covina, Rowland Heights, Rosemead and a host of other municipal areas. That’s a lot to talk about (and a lot to eat!). Fear not Angelenos. I’m here to tell you about the best spots that locals, food critics and adept foodies are eating at in the San Gabriel Valley, and by virtue, offer up a guide to where you should consider starting your culinary exploration of the region. And, of course, I’ve got tons of specific recommendations on what to order when you make the trip. List starts after the jump in no particular order. Numbered only for reference. This 50-seat restaurant features a menu that places a California spin on Northern Italian cuisine. Opened in 2014, this farm to table restaurant in Old Pasadena has already gained recognition from L.A. Times food critic Jonathan Gold as seen in the 2015 101 Best Restaurants list. Chef Bruce Kalman (a James Beard nominee and Chopped winner) lets his ingredients shine, home made pasta in a tomatoe sauce with fresno chile is a popular choice, the Instagram worthy squid ink garganelli with lobster and truffle butter is out of this world. Kalman also has a passion for house-made charcuterie and pickling so make sure to order some items when available. Elite Restaurant is located in Monterey Park and serves up traditional Cantonese food and Dim Sum. You won’t see little old ladies pushing carts around for Dim Sum service here instead you order off the menu and the dishes come to you. Order their snow bun filled with almond paste, crispy shrimp rice noodle and egg tarts. For a spicy dining experience unlike any other, visit Chengdu Taste. Flocks of hungry and curious folks come to this Sichuan restaurant to test their limits in piquant foods that create a mala, “numbing and spicy” experience. Order the signature dish of lamb cubes, skewered onto toothpicks, tossed with a spicy blend of chilies, sesame and cumin. The sinus clearing boiled fish made up of silky fish filets in a broth made up of fresh chopped green chilies and whole Sichuan peppercorns, is aromatic and surprisingly addicting. If you like variety when you dine out than Sushi Aru in Rowland Heights is the perfect choice. Their bento boxes come with a grid of 9 – 12 compartments, each with something delicious in it. There can be tempura, sashimi, rolls, marinated tofu, udon, veggies and a ton other things depending on what combo you order. Go during lunch and take advantage of their lunch specials for more bang for your buck. A LA Weekly 99 Essential selection for 2015, Temple City’s Dai Ho Kitchen serves hand made noodles in a hand full of variations with the simmered beef hot chile oil broth, smothered sesame sauce and minced beef with scallion being the most popular. Only open from 11:30am – 3:30pm Tuesday through Sunday, the noodles have become somewhat of a cultish obsession and tend to sell out by the afternoon. 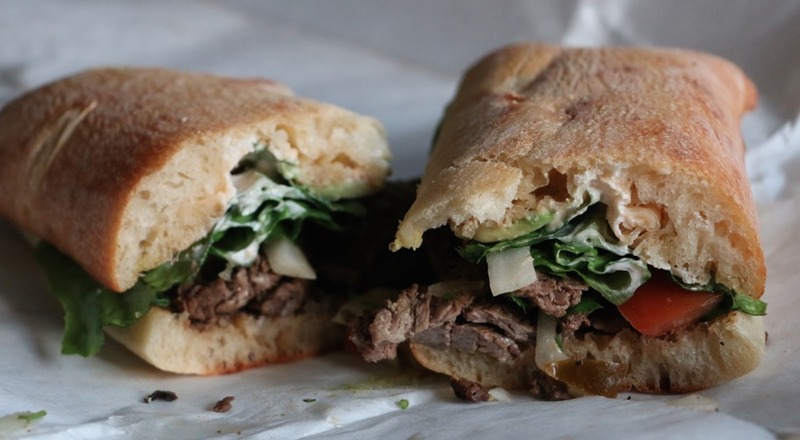 The carne asada torta is my personal go-to here at Cooks. House baked bread, toasted and stuffed with juicy caren asada steak, pico de gallo, avocado, lettuce and mayo- brings a smile to face every time. All tortas come with a small side from the deli, that change daily. Opt for an aguas fresca instead of a soda to get a full experience of this beloved establishment. Carne asada torta from Cook’s. Credit: Brian Champlin / We Like L.A. Yes they serve noodles at the 101 Noodle Express, even dumplings and savory Chinese pastries BUT it’s the beef rolls that run the show here. The light and flaky beef rolls originate from the eastern Chinese province of Shandong and consist of tender sliced braised beef, chopped cilantro and hoisin sauce wrapped in a what I like to call a Chinese tortilla. Reach for the minced greens and sauce on the table- top it on your roll for a flavor explosion. Pretty much the most famous dumpling house in all of Los Angeles. Din Tai Fung has gained a healthy amount of positive reviews from LA Weekly, Los Angeles Times and even The New York Times who all identify Din Tai Fung as one of the best places to eat. Steamed, juicy dumplings in a variety of fillings come out piping hot and burst open with delicious broth at first bite. Order the Shanghai rice cakes, some stir fried veggies and some dessert buns, to accompany your dumplings. Hands down one of the best Vietnamese restaurants in the SGV- folks have been lining up to eat here for decades (I’ve been lining up as far as the 5th grade!) Try the Pho Tai a dish served with rare beef ready to be cooked in pho soup. The crispy fried egg rolls as an appetizer is a must, and perfect for a group. If you’re flying solo order them anyway, it’s that freaking good. Known for the special house lobster- wok fried with generous amount of chilies, garlic,pepper and scallions this thing is best feasted on with a couple of your friends. Select one of the combo dinners complete with soup, veggies and protein dishes to round out your meal. Other highlights include the Vietnamese style black pepper filet mignon, salt and pepper pork and crab. The critically acclaimed Racion has been celebrated pretty since the first day it opened in 2012. This small-plates-style restaurant offers bold flavors inspired by Spanish favorites while highlighting seasonal produce in California. Try the squid ink pasta, calamares rellenos, duck sausage-stuffed squid and chicken croquettes. They also have a great selection of beers, ciders and wines to go with your meal. Empanada lovers unite here at Tito’s Market in El Monte for some hot empanadas and stellar rib eye and Milanesa sandwiches. This Argentinian restaurant, deli and market get’s busy during lunch hour with people lining up at multiple counters to order and then clamoring for a seat. But it’s all worth it, when you take one bite out of that juicy savory beef empanada. Parking lot tends to get a little hectic during peak lunch hours, but don’t be dissuaded! This Mongolian-style hot pot restaurant is extremely popular for locals looking for a warm up. Dunk a variety of proteins, noodles, vegetables and such into a hot bubbling broth as carts roll out to each table filled with items like beef tendon, shrimp and tofu. Choose from a red chile and peppercorns broth, or the medicinal herbs and roots route, can’t make up your mind? Order both in a ying and yang pot. You can’t get anymore iconic than Fosselman’s Ice Cream when you’re in Alhambra. Family owned and operated, they’ve been churning out their ice cream for over 90 years! 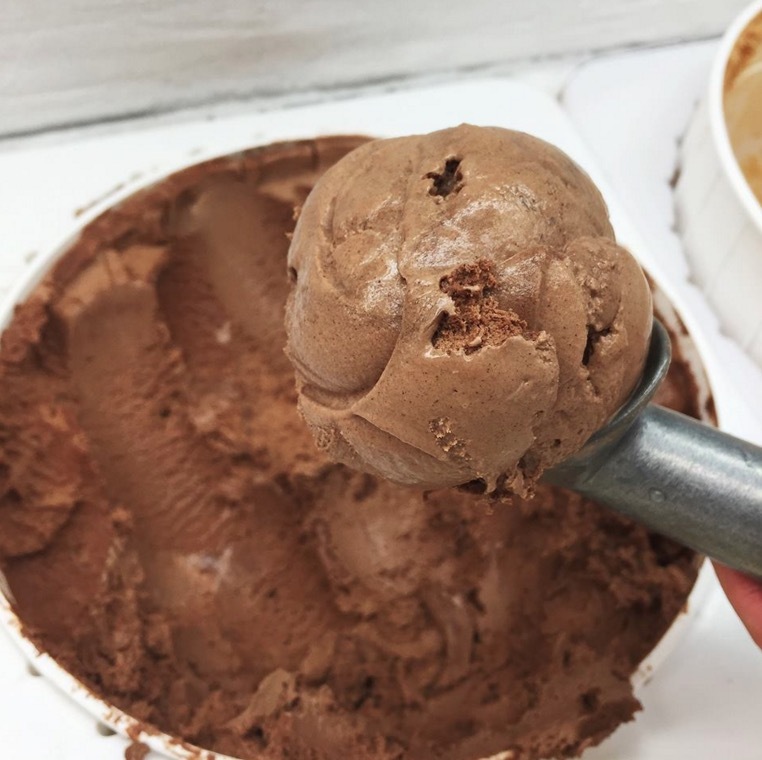 Fosselman’s features a wide variety of ice cream flavors along with a selection of sorbets and yogurts, and if you truly want to go decadent get yourself a banana split. It’s cash only here folks. They’re old fashioned that way (but thats the way we like ’em). One word…Fried Quesadilla. El Taco Man in El Monte serves this heavy hitter covered with beans, guacamole, lettuce, salsa, queso fresco, sour cream, meat and the kitchen sink. It might be hard to just order one item since everything is cheap and and oh so tasty. The tacos de papa (potato tacos) are fried to perfection and the sauces are awesome too. Bring cash and your appetite, they don’t accept card. With a line out the door, hungry locals come here for the Hainan chicken rice, poached chicken cooked to a delectable tender texture is paired with chicken fat infused rice – possibly the most perfect chicken and rice dish ever created. Dip your chicken in ginger-scallion oil or the thick soy sauce for a kick of flavor. Don’t be fooled by the Italian decor although they do serve pizza and even escargot, both seem to also be pretty popular. What are your favorite spots to eat in the San Gabriel Valley? Let us know in the comments below!